It was wonderful to see Gielgudian’s Hannah Wood and Casper Mott perform so brilliantly in Encore at the Lilian Baylis Theatre, Sadlers Wells last night. Hannah graduated from GAPA to Tring Park in 2018 and Casper in 2015 . 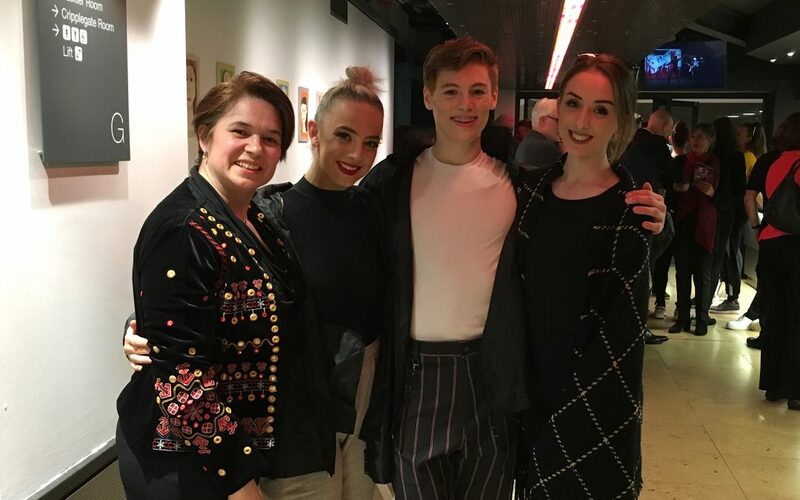 Both are now in their 2nd year of Sixth form and were performing with the Tring Park Encore dance company as part of its 2019 UK tour. Photo of Mrs G, Miss Laura, Hannah and Casper. 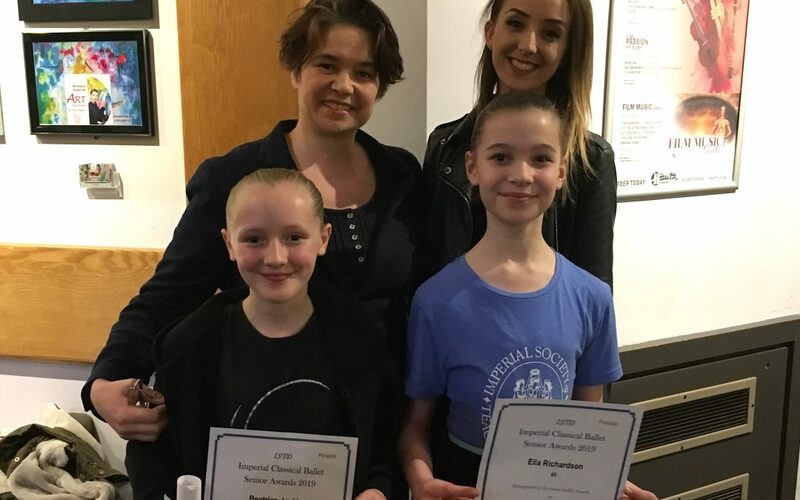 Congratulations to all our Grade 3, Grade 4, Grade 5, Grade 6/Intermediate Foundation and Intermediate competitors in the ISTD Imperial Ballet Awards at the Hawth Theatre, Crawley on March 2nd and 3rd. Huge well done to them all, especially to Ella Richardson (Grade 3), Martha Gibson (Grade 4) and Bailey Johnson (Grade 6/Inter F) for being Finalists, and to Beatrice Jenkins (Grade 3) for being a Finalist and being awarded with a class commendation. Congratulations to our GAPA pupils who performed so brilliantly in professional pantomimes this year. 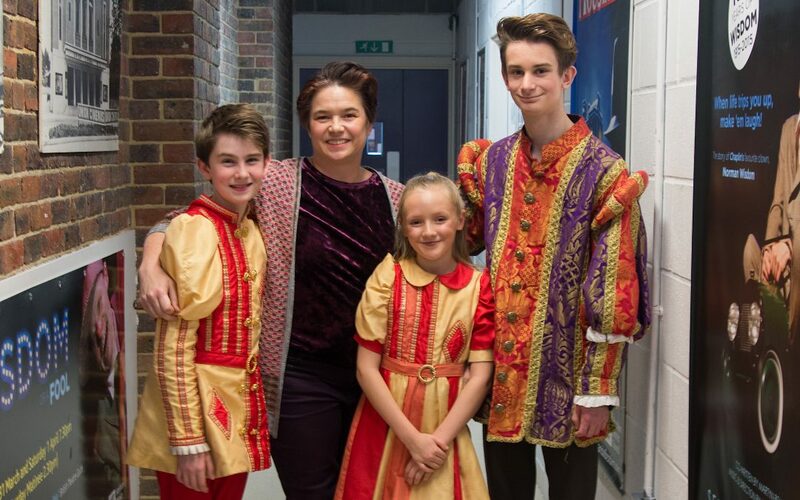 Bella Cavalli was in Aladdin at Crawley Hawth and Katie Muller, Beatrice Jenkins, Noah Bailey and Oscar Ward Dutton at the Capitol, Horsham. Congratulations to Gielgudian Matt Trevorrow (Matt Hill) who has joined the cast of Annie on its UK Tour 2019. Matt trained at GAPA and went to Tring Park in 2013 and then Bird College in 2015 – graduating in 2018. He went straight in to the UK Tour of Summer Holiday and now joins Annie. Well done Matt .. what a way to start the new year! 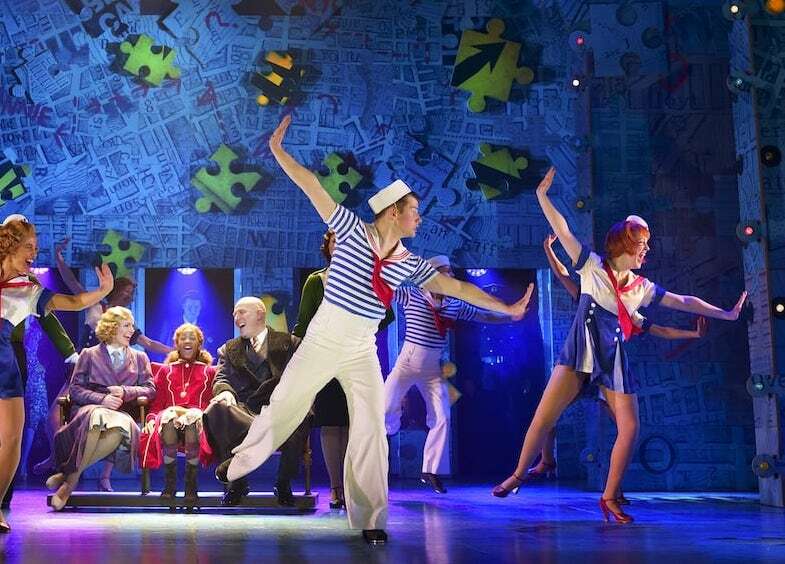 Photo of Annie UK tour, Matt in centre. 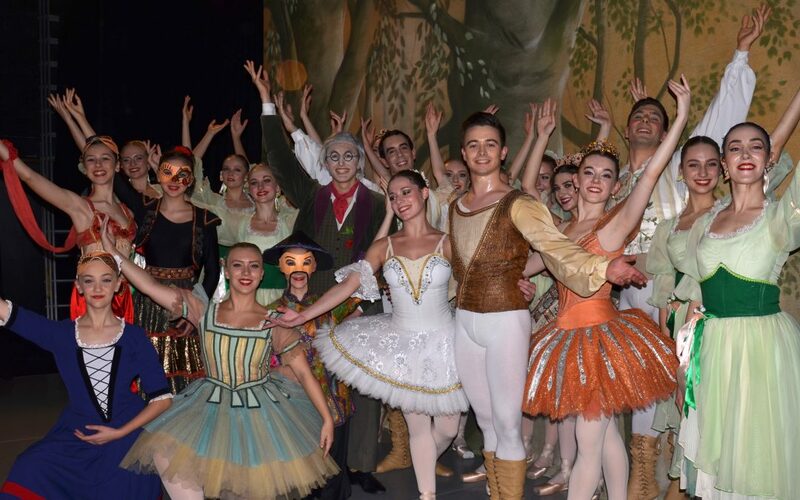 Congratulations to GAPA pupils Alice Gibson, Caitlin Bending, Eloise Harwood, Isabelle Hateley and Eve Lewis who all performed as the dolls in Coppelia with the Vienna Festival Ballet (VFB) last night. The performance was at Clair Hall, Haywards Heath as part of VFBs 2018-19 UK tour. 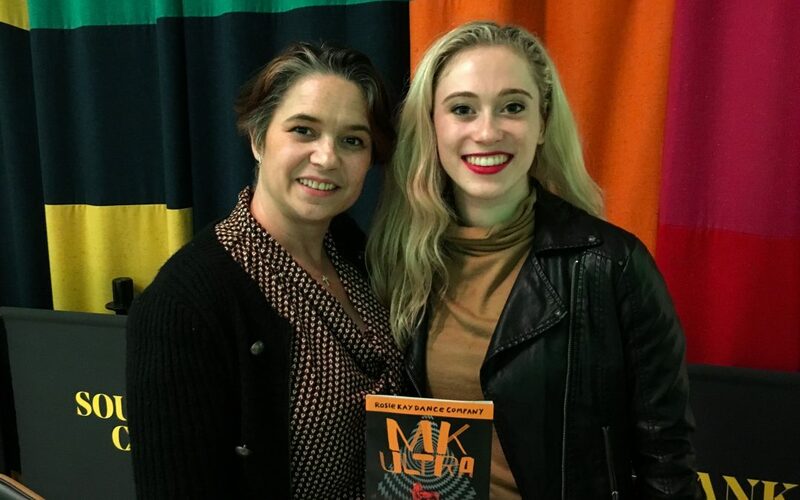 Congratulations to Gielgudian and former GAPA head girl Carina Howard who danced brilliantly last night at the Southbank, London, in ‘MK Ultra’ with the Rosie Kay Dance Company. Carina is currently on tour in this exciting production with the Company across the UK – catch them if you can. Details on the Rosie Kay website.